In Sydney we stayed in a hotel in Goulburn Street. My friend has time share & we stayed at one of their Sydney locations. It was well located with an easy 5 min walk to Hyde Park, World Square & Museum Station. 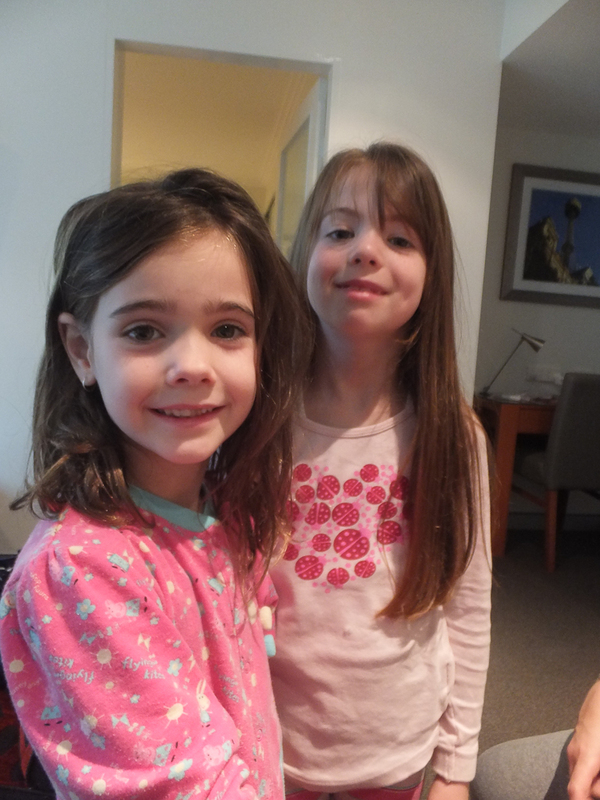 Keira and I go up to Sydney a couple of times a year to visit Bella but usually stay with them at their home. 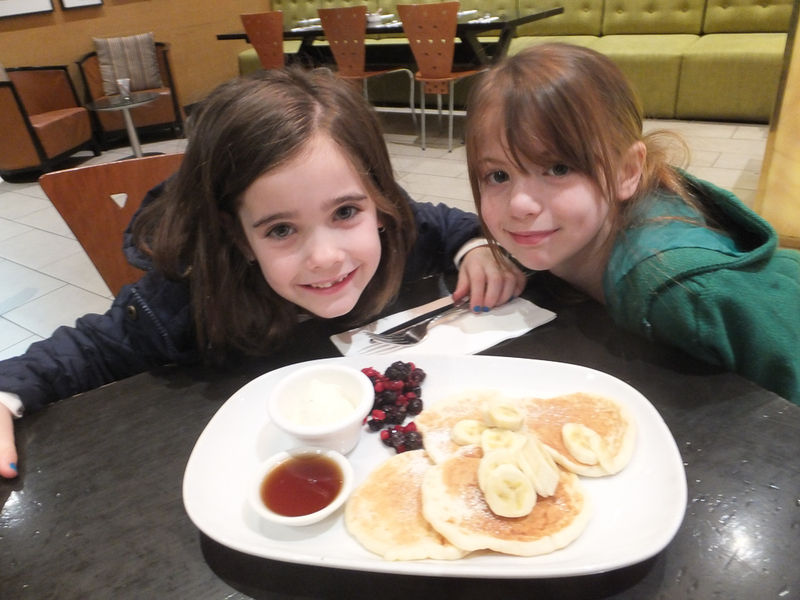 This was a bit of a novelty for the kids to stay in a hotel together. In our pj’s ready for bed. Breakfast at the Vibe Hotel on Goulburn Street before heading off. 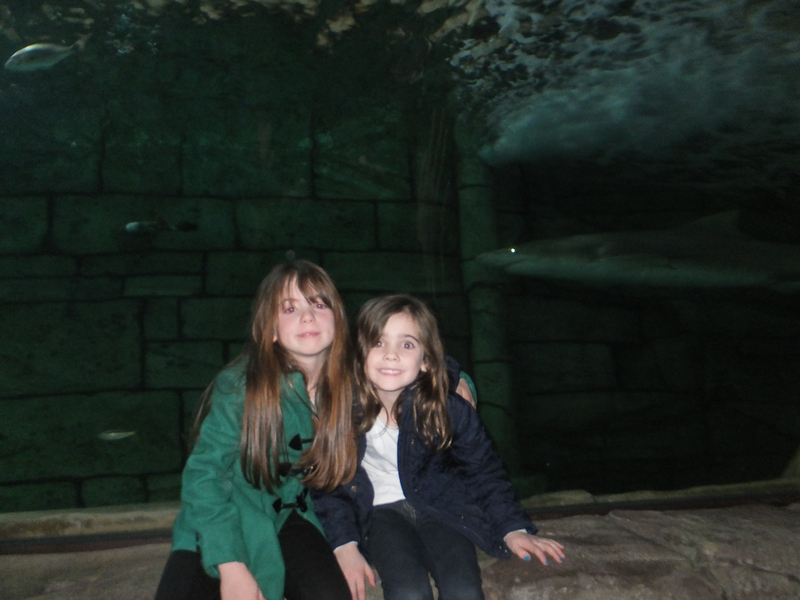 As we were staying in the city we decided to take the kids to Darling Harbour/ Kings Wharf. 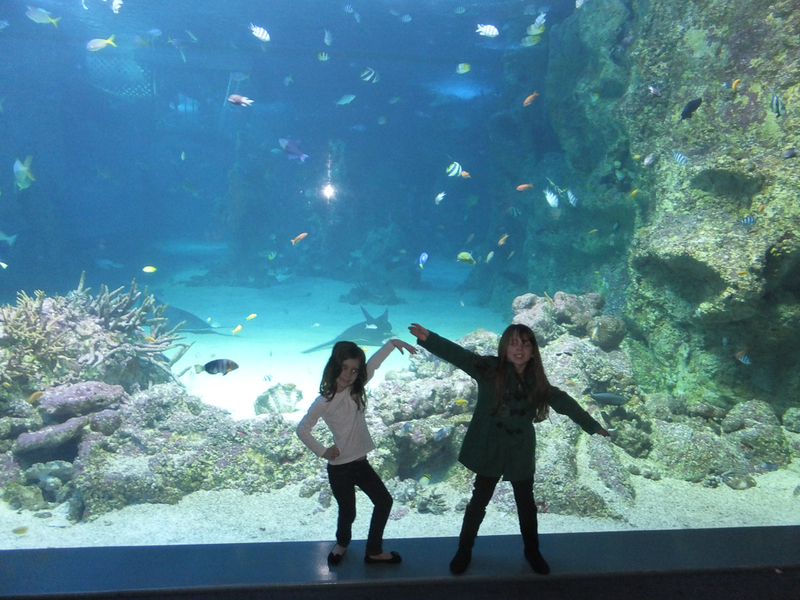 We got a family ticket for 2 adults & 2 kids for Madame Tussaud’s, Wildlife Adventures & Sealife Aquarium. These are all located next to each other on the wharf. This was really handy as we were able to walk from one to the other and not get wet as it was a wet morning. 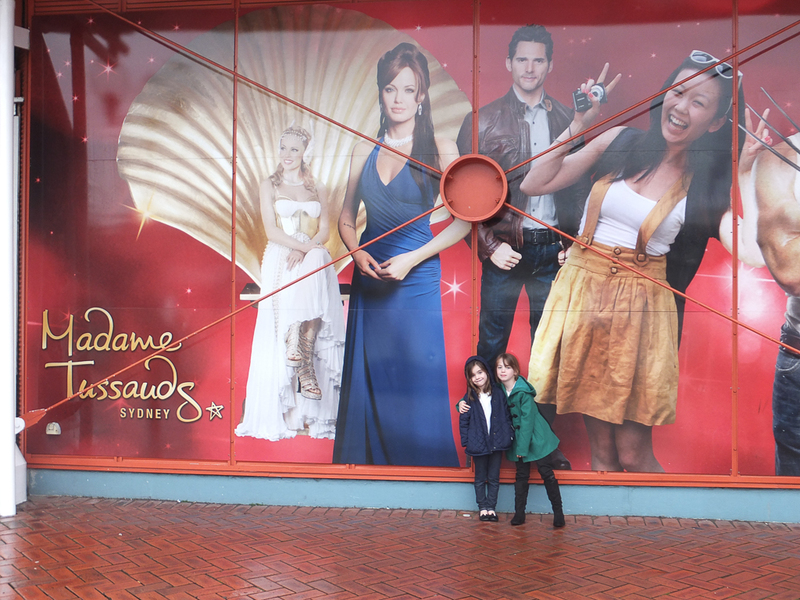 The entrance to Madame Tussaud’s at Darling Harbour. 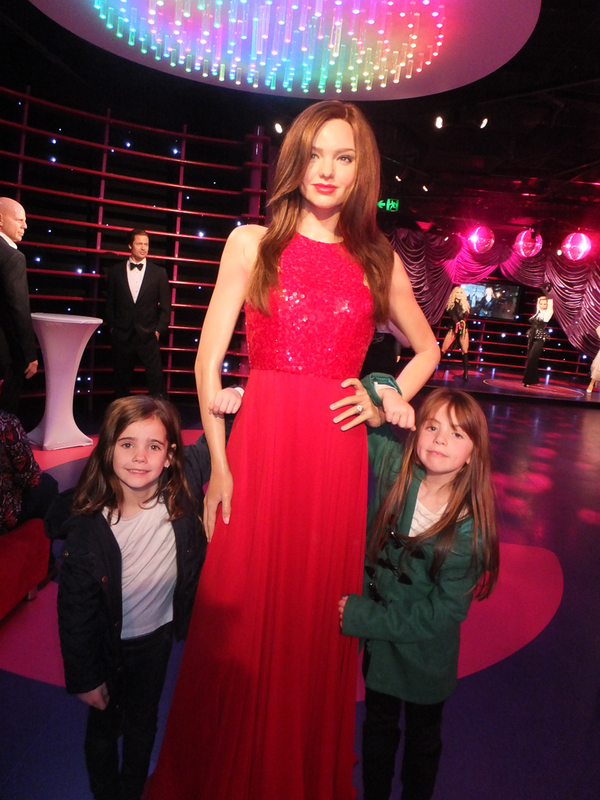 We started at Madame Tussaud’s, the girls were 7 years old and really enjoyed it. 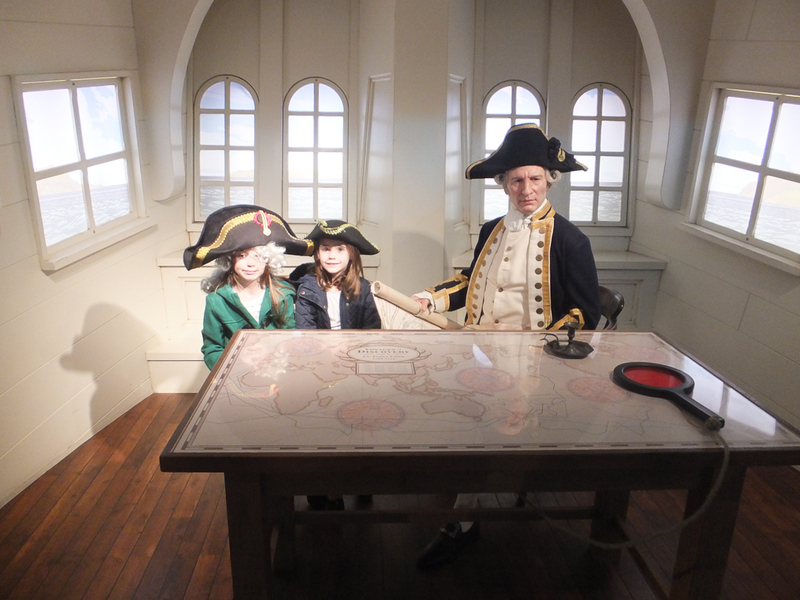 There were a variety of different exhibits, I found it interesting that they included some Australian history including our first Saint, Mary MacKillop and Captain Cook. Aussies idolise our sports stars so there was no surprise to find Cathy Freeman, Mark Webber and our famous cricketer Shane Warne along with a few others from Shane’s era! 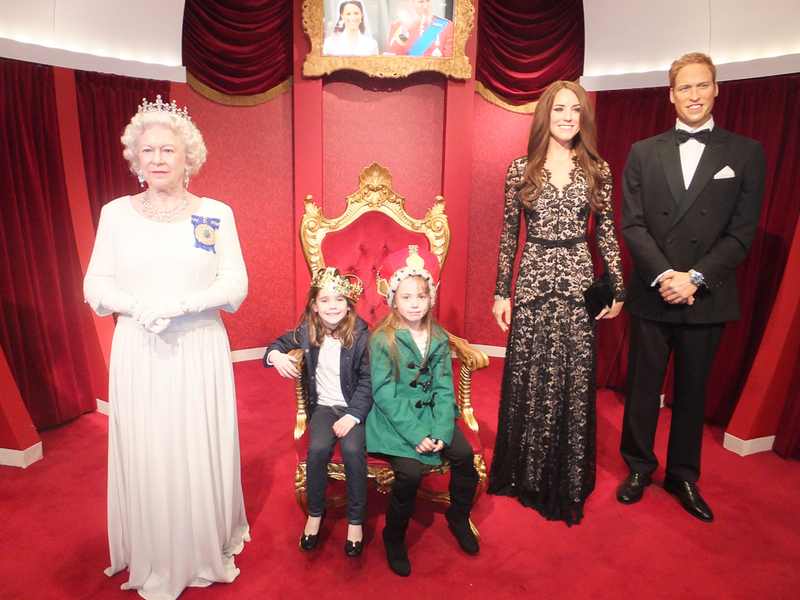 We moved into the next room to be greeted by the Royal family. Kate Middleton is so tall and ridiculously skinny and Wills had hair! The Queen was looking awesome as usual. 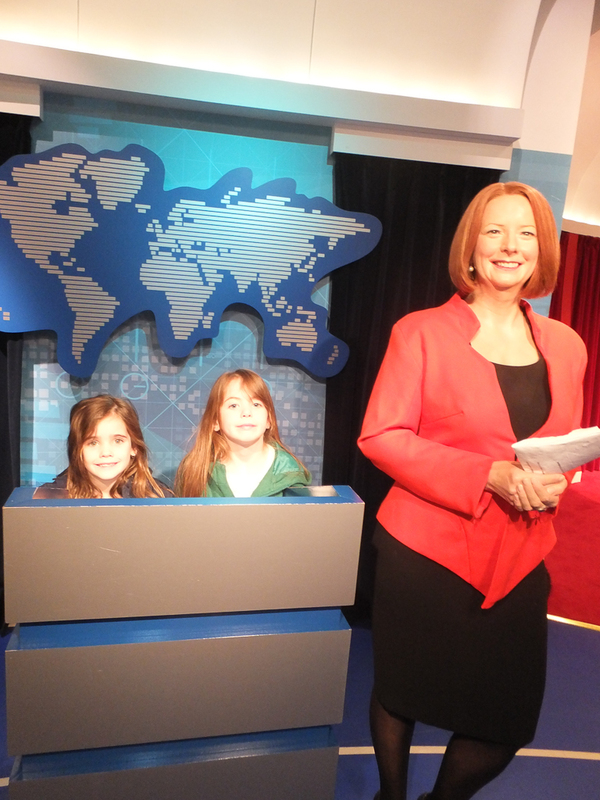 We had our photo taken with Barrack Obama, Opera Winfrey and of course Julia Gillard. Next we had the music legends. Michael Hutchence, Jimmy Barnes, Kylie Minogue held spots in the same room with The Beatles, Lady Gaga, Beyounce and Katie Perry. 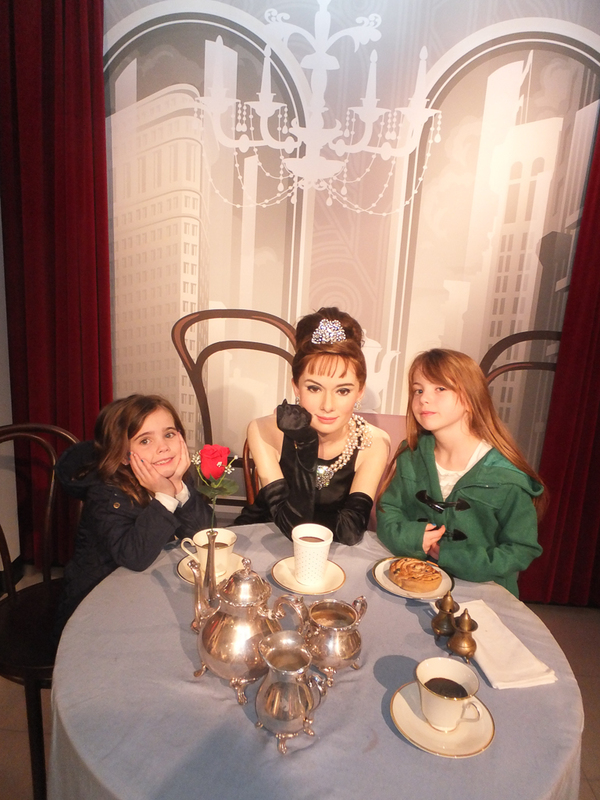 Props for photos are provided and the girls loved dressing up like there famous characters and coping their famous poses. 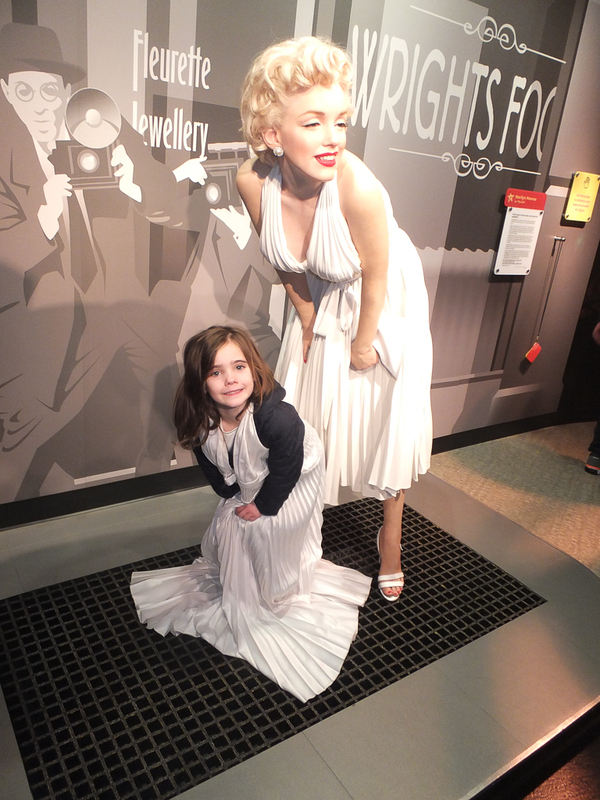 We tried on a dress like Marilyn Munroe and stood next to her with the wind blowing up their skirts. 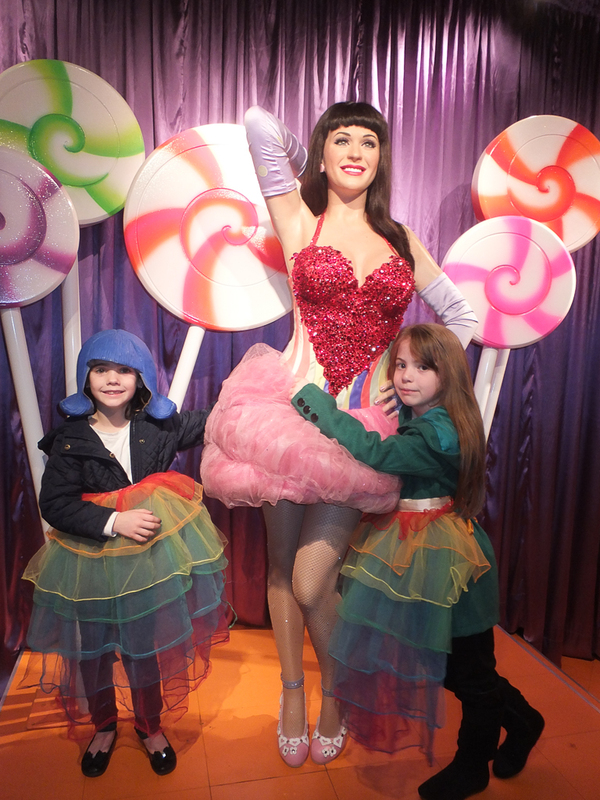 They had Katie Perry’s blue wig on and a rainbow skirt to dress like her in her film clip. Last but not least had all the famous Hollywood stars, with a fair few Aussies in the mix. There was Miranda Kerr, Nicole Kidman, Toni Collett, Delta Goodrem, Eric Bana, Mel Gibson, Crocodile Dundee, Hugh Jackman. 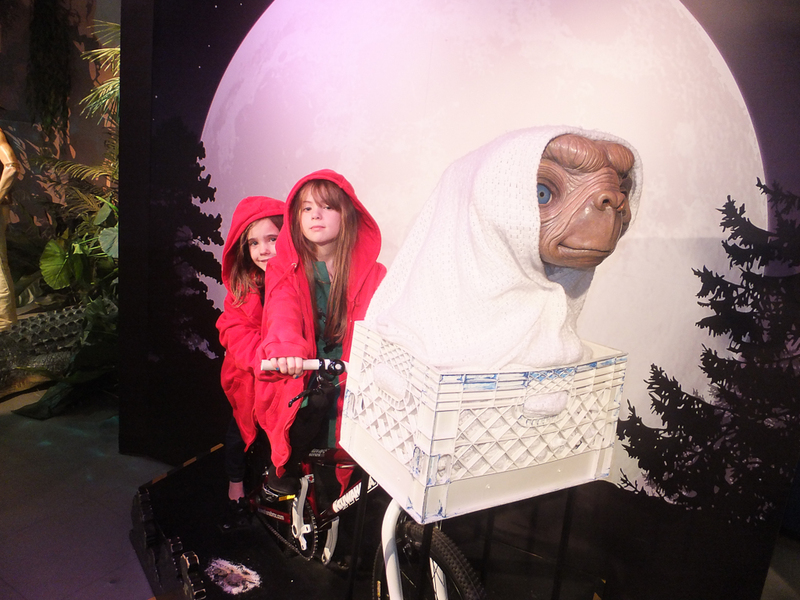 Also there was Brad Pitt (hmmm), Johnny Depp, Madonna and very exciting for the kids ET, in his final scene on the bike in front of the moon. From there we went to Wildlife Adventures, mostly Australian animals, koalas, wallabies, plenty of reptiles and the most enormous crocodile I have ever seen. Rex the Croc was easy 5metres long. This place would be fantastic for an international tourist with not a lot time and those with very little kids. 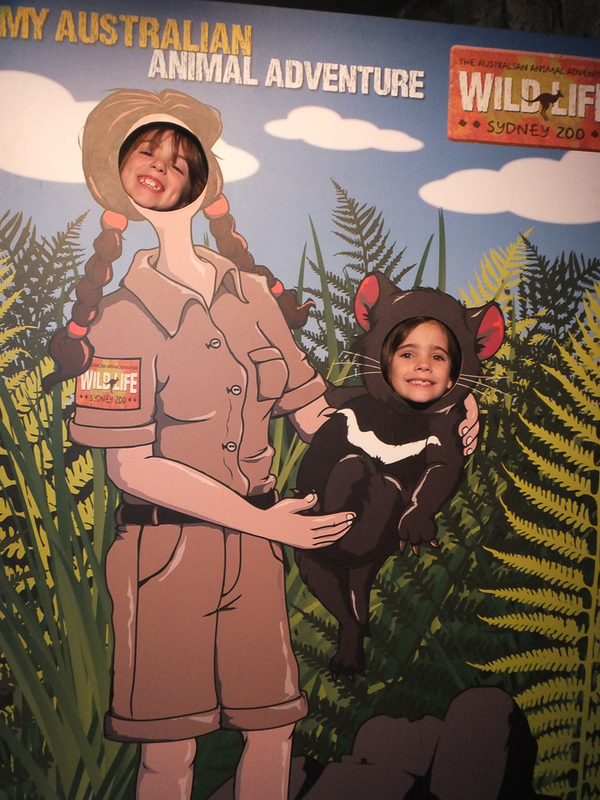 We have been to Taronga Zoo loads of times and this was really a bit boring for the girls. It killed an hour but if you have enough time my recommendation would be to get the ferry over to the Taronga Zoo for the day. 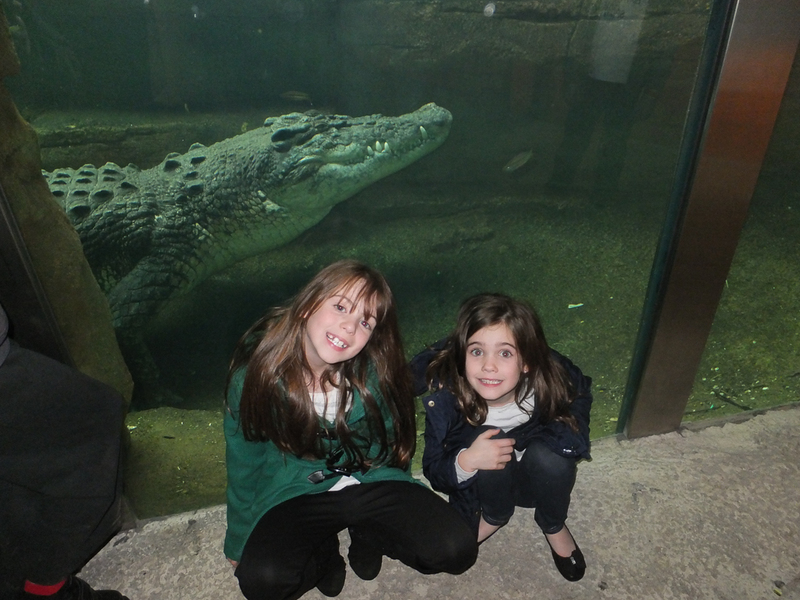 There was nothing that really stood out here other than the enormous croc!. 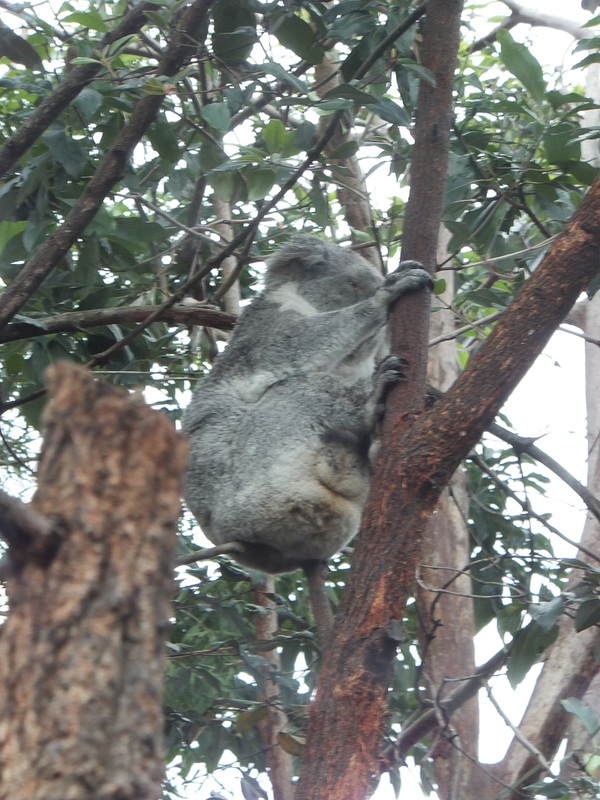 Can’t miss the koala exhibition! 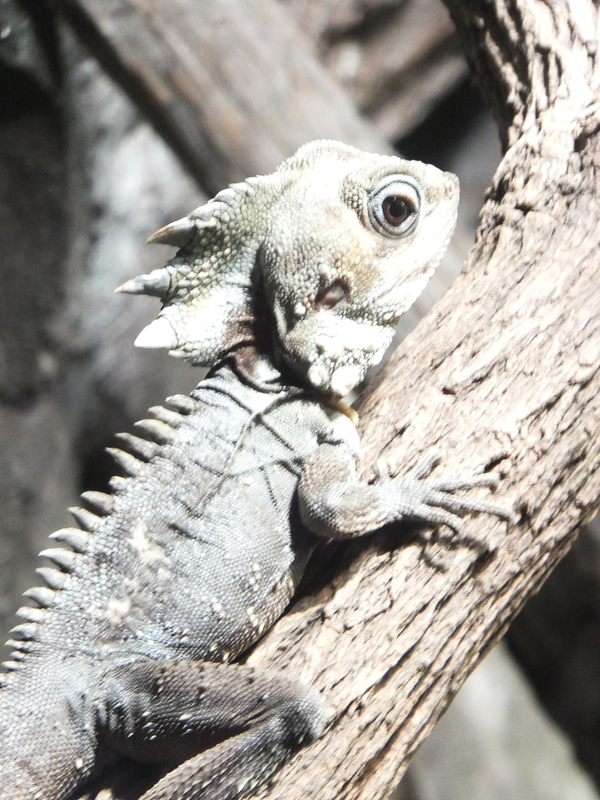 Lizard’s are awesome to photograph as they don’t move! 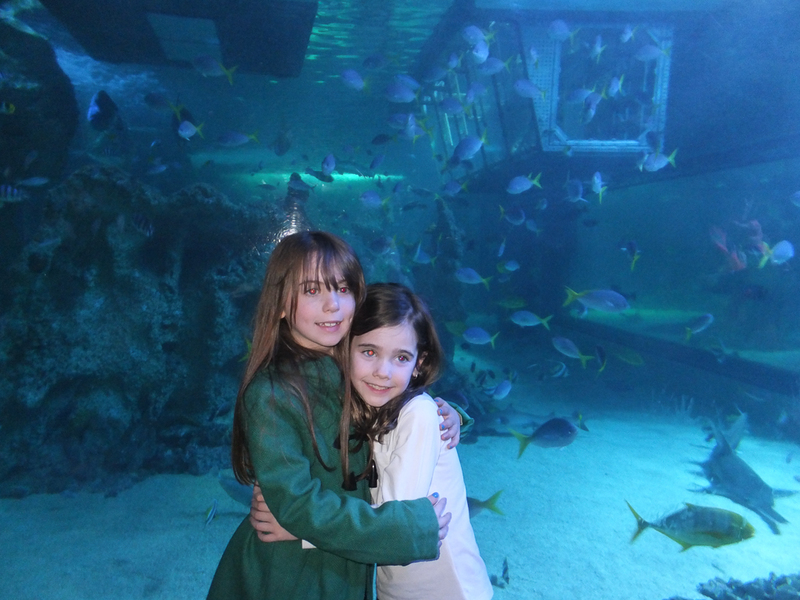 Next stop, Sealife Aquarium, this aquarium is much bigger than it looks. It was very busy but the crowd seemed to move through pretty efficiently. We spent 2 hours inside and if you had younger kids you could easily spend 4-5 hours there. Upon entry you are required to pose for some photos that you can purchase on the way out. They come in a booklet and cost $40. 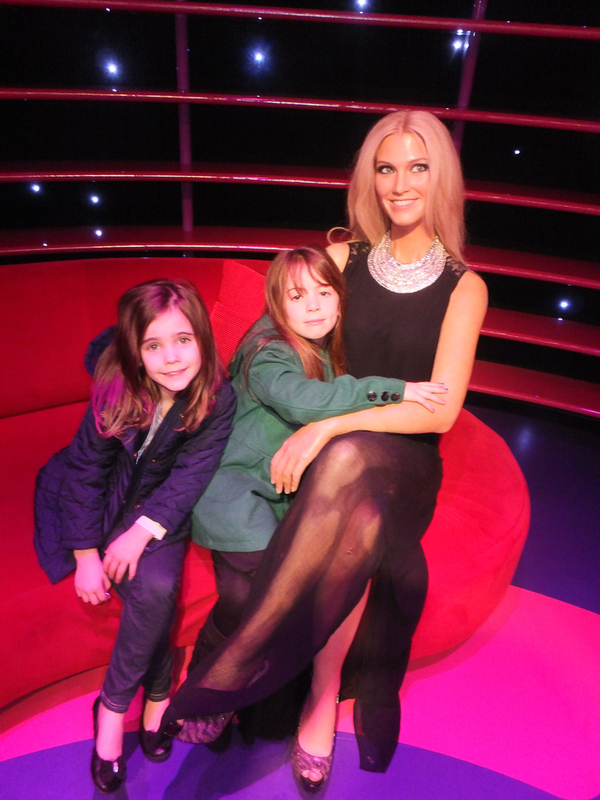 We purchased the ones from Madame Tussaud’s but didn’t bother with the other 2. The reason being they weren’t great shots and were ridiculously overpriced. Posing in front the wall sized tank. 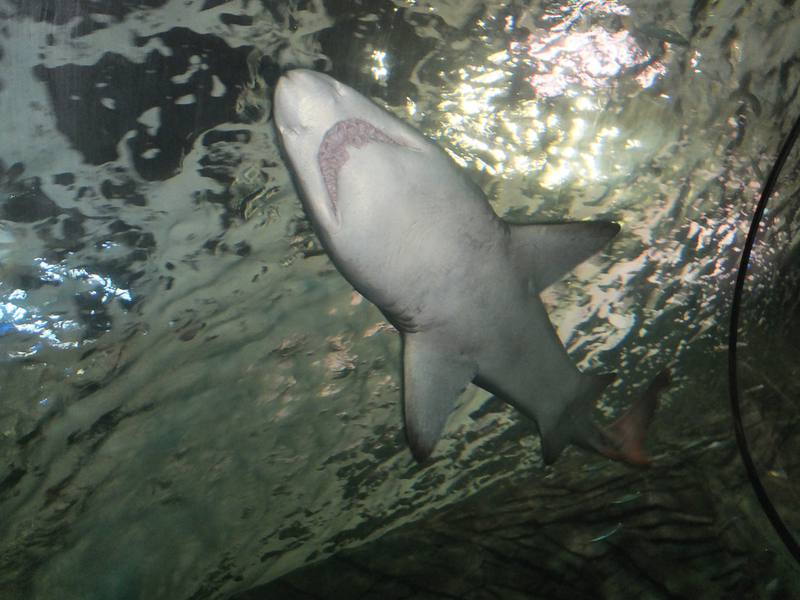 The Aquarium has the most amazing walk through tunnel with all the sharks and manta rays swimming around and above you, the kids particularly enjoyed sitting up on the dome and having a photo with the shark swimming around behind them. 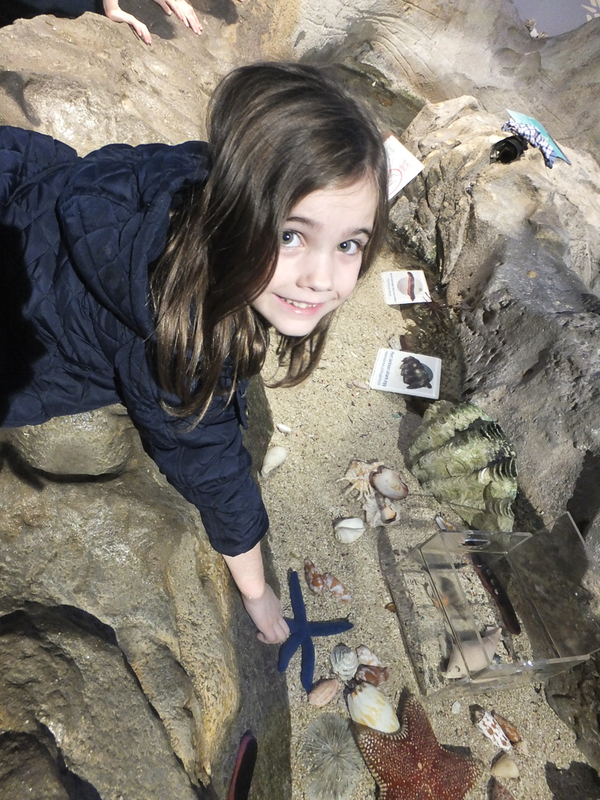 There’s also a Discovery Pool where the kids were able to put their hands in and touch the sea animals that were in the shallow water. 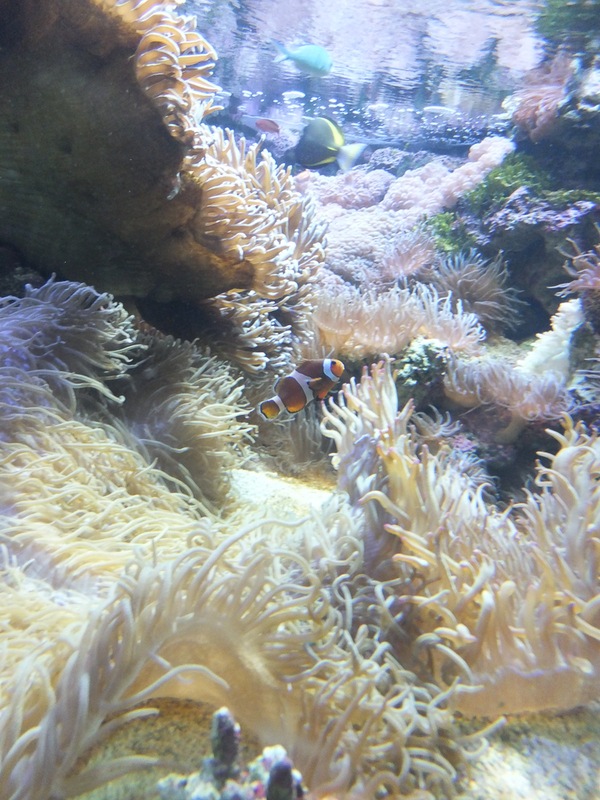 The Great Barrier Reef tanks were awesome and if I had a dollar for every child that walked in and said ‘there’s Nemo’, I would have had a free trip to Sydney! 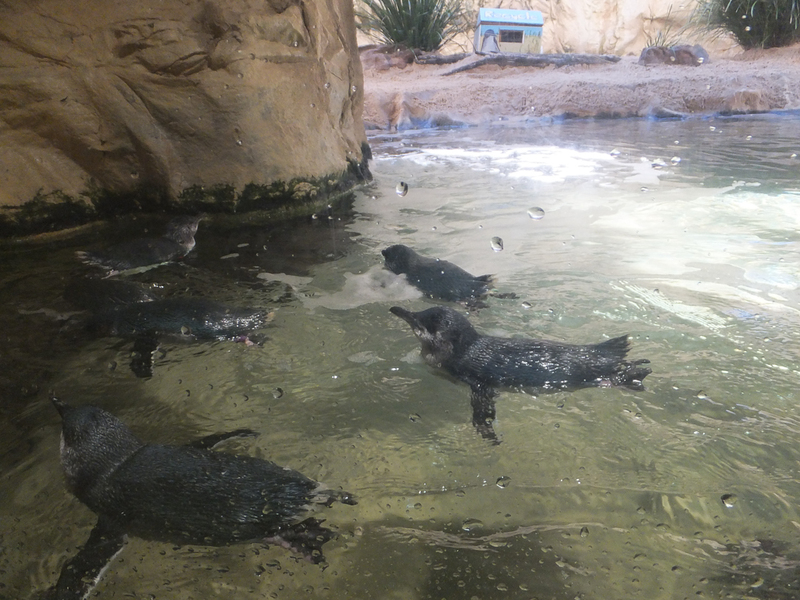 This aquarium is certainly worth a visit. My advice would be to do Madame Tussaud’s and the Sealife Aquarium and give the Wildlife Adventures a miss. 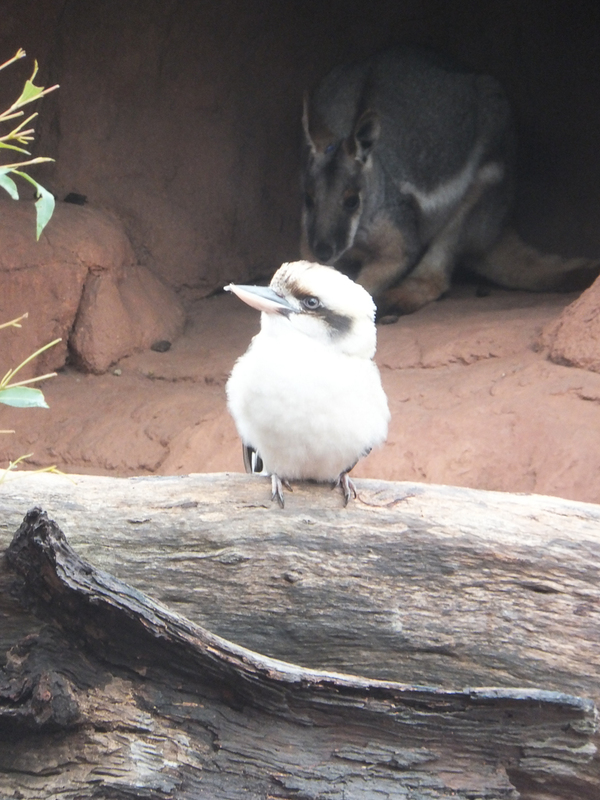 Sydney is a great place to visit with kids, Taronga Zoo is one of the best zoo’s in the world and provides you with amazing views across the Harbour. For even better views, try the Sydney Harbour Bridge Climb!